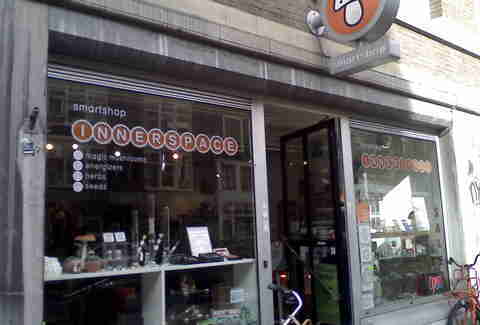 Pre-2008, there were more than 40 smartshops in Amsterdam, but now there’s more like 10. Opened in 1993, this one was the first. 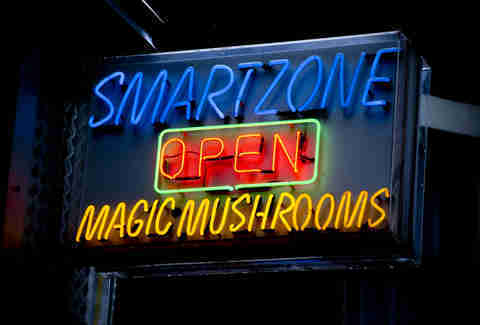 They started out selling vitamins and herbal energy drinks... but put themselves on the map when they put magic mushrooms on the shelves that year. Along with the Dreamlounge in the Canal Belt and two smartshops in other cities, Kokopelli is part of the Conscious Dreams empire. In the back there’s a cushy lounge area where you’re free to try their wares in safety -- to a DJ'd soundtrack on weekends. Though mushrooms were banned, nobody said anything about truffles, aka philosopher’s stones -- which are basically the same thing (psilocybin), just slightly watered down. The trip still lasts almost six hours, and the effects will depend on which type you take. 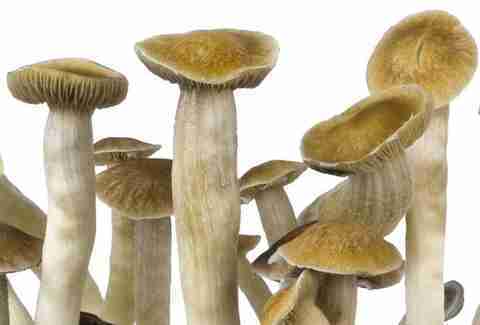 Beginners are advised to start with the Mexicans; at the other end, the galindoi will keep even the most hardened shroomsperts seeing in full vibrating color. These two “souvenir shops” (the second is in a basement on the Flower Market) also have some seriously cool toys. 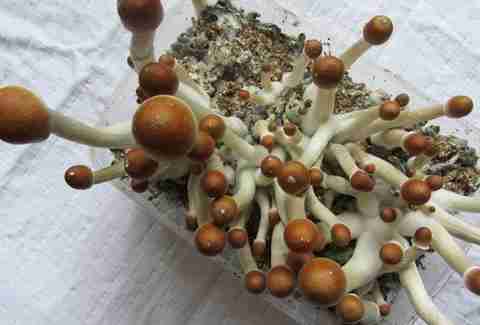 If truffles just won’t do it for you, you can still get the real shroom thing legally by growing it yourself. Shops like Tatanka make it easy for you with pre-packaged, all-in-one grow kits for every strain in their lineup. They’ve got step-by-step instructions to get you feeling fungi in a few weeks. Like most shops on this list, Tatanka’s also got an online shop. And yep, they’ll ship you the grow kits, too (if you live in Europe). Rather actually learn the growing process? Mushroom-loving futurists Mediamatic offer mushroom-growing workshops every few months, covering either the magic kind or the boring (oyster) kind. Sign up for their newsletter to find out when the next one’s scheduled. 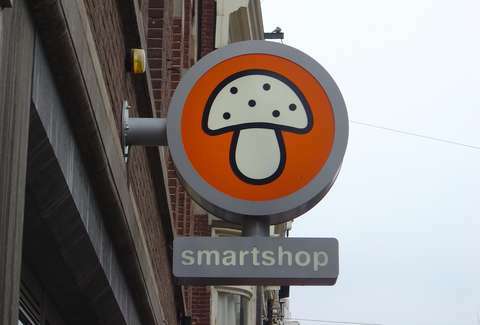 Psilocybin products are just a small part of the smartshop lineup. 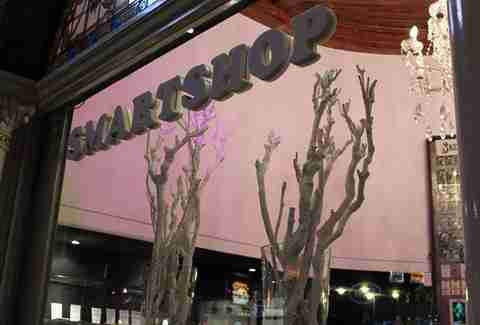 Like the vitamin shop of your trippy Earth Mother dreams, smartshops were named after the herbal stimulants they sell (like powdered guarana) and other products intended to stimulate the mind and improve memory. At Smart Zone, a tiny shop tacked on to the back of the St. Christopher’s hostel and Winston Kingdom club, you can perk up with kola nut, or wind down with skullcap or valerian. Or stimulate other body zones with aphrodisiacs like muira puama and ginkgo biloba. Though chemical designer drugs are explicitly forbidden, if it’s all natural and hasn’t been outlawed, it’s fair game for the smartshops -- meaning there are plenty of stronger herbal supplements to find as well. Some of the most popular, available at Innerspace and others, is kratom (a sort of faux-opium), Salvia divinorum (a short-lived but super-intense psychedelic), and cacti (the scarily strong peyote and friends). For the true spiritual warriors, shops like Azarius also sell ayahuasca mixes. The blend of psychotropic herbs, used in South American vision quests, contains DMT (“the god molecule”) as an active ingredient. This is one spiritual journey not to be taken lightly, or unsupervised -- luckily, Azarius basically doubles as an information center for the curious. You can even stop by for nightlife tips. If your interests are of the dance party variety, this tiny nightclub of a shop is the more obvious place to check in; in addition to party clothes, blacklight gear, and inside intel on the clubbing scene, you can pick up herbal party favors. 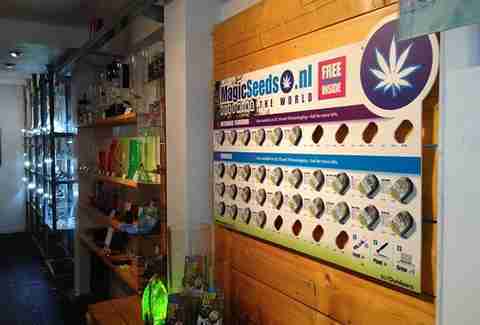 Every smartshop sells their own versions of these, but they’re basically natural replacements for chemical (hard) drugs. These so-called “herbal XTCs” are pretty mild, which is why the faster-acting liquid variety is the most popular. The first smartshop we ever went to is right on the edge of the city’s party zone, but is perfectly camouflaged into the Leidsestraat’s upscale retailers in its monumental building. 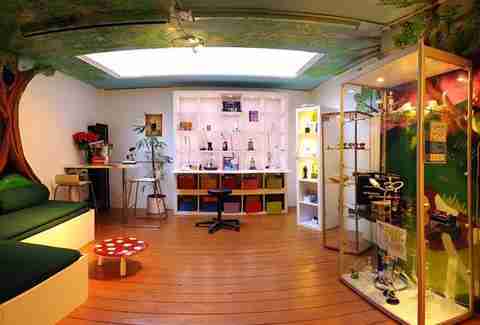 Full of sleek gadgets from vaporizers to tools to test the safety of those kinds of party favors you shouldn’t have in the first place, When Nature Calls makes the whole smartshop business look downright classy -- right down (er, up) to the crystal chandelier. -Pick a safe, comfortable place where you can hang out for a long time and don’t have to worry about acting like a weirdo. -Do it with people you feel easygoing around. At least one sober sitter is a good idea. -Talk to the sellers about what to expect and read all the pamphlets they give you before you start. -Make sure you have nothing you have to do for the rest of the day. -If you’re a newbie, don’t do it in the Van Gogh Museum.